With plenty of time to spare. There’s still over two weeks to go until Dota 2’s flagship tournament The International 2016, but its prize pot has now surpassed last year’s record-breaking total—a whopping $18,580,479, at the time of writing—making it the most lucrative esports competition in history. Since the tournament’s inception in 2011, Valve has provided $1.6 million of its own cash to the prize fund, however recent years have seen this augmented by a range of crowdfunded proceeds. 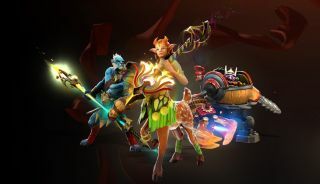 A quarter of Battle Pass sales (passes that grant owners access to an “exclusive haul of features and rewards” throughout the Dota summer season) go into the pot, for example, while previous years saw the same share being shaved from sales of the ever-popular Dota 2 Electronic Annual The Compendium. As a reward for beating last year’s $18,429,613 record, Battle Pass owners will receive three treasure chests which include a range of in-game items. The International 2016 kicks off on August 13 in Seattle’s Key Arena.